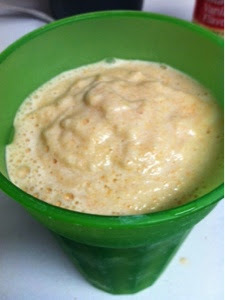 I have seen a carrot and peach smoothie on the web. 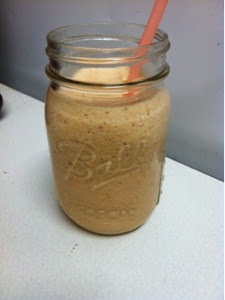 I did my version with skim milk, frozen peaches, fresh carrots, brown sugar, vanilla, and cinnamon. It was just ok. It is something I won't make again. 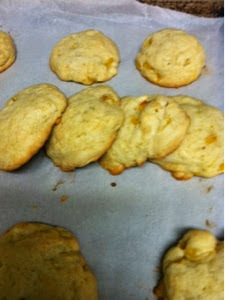 Now the peach cookies was not bad at all, I thought it was quite tasty. It did not seem to go well with anyone else. The recipe can be found here.